Submitted by tdlee on Mon, 10/28/2013 - 3:47pm. 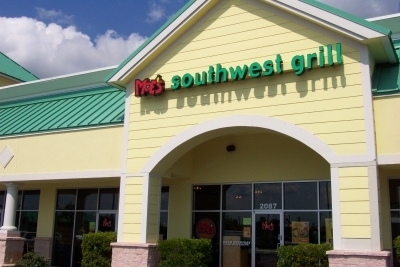 Founded in December 2000 in Atlanta, GA, Moe's Southwest Grill is a fast-casual restaurant franchise serving a wide variety of fresh, made-to-order southwest fare. Moe's is best known for its burritos packed with a choice of over 20 fresh, flavorful ingredients. The menu also features kid's, vegetarian and low-calorie options. All meals are served with free chips and salsa. Thank you to phydx2 for the original file. File Submitted by phydx2 on 2 January 2008. Maintainer changed to tdlee 28 October 2013. Updated. added in column D, Closed. Total: 522 (no change). Little Rock, AR: Park Plaza Mall location now open.